It’s been just over thirty years since Nicaragua dominated U.S. headlines during the famous Iran-Contra Affair. The scandal revealed that senior members of the Reagan administration had been secretly funding Nicaraguan rebel groups fighting the leftist Sandinista government by conducting clandestine arms sales to Iran. Since Iran-Contra and the end of armed conflict in 1990, the poor Central American nation has largely managed to stay off the front page of American newspapers. But that could all change this fall. And that’s how Nicaraguan unrest could become a major issue during the midterm elections. 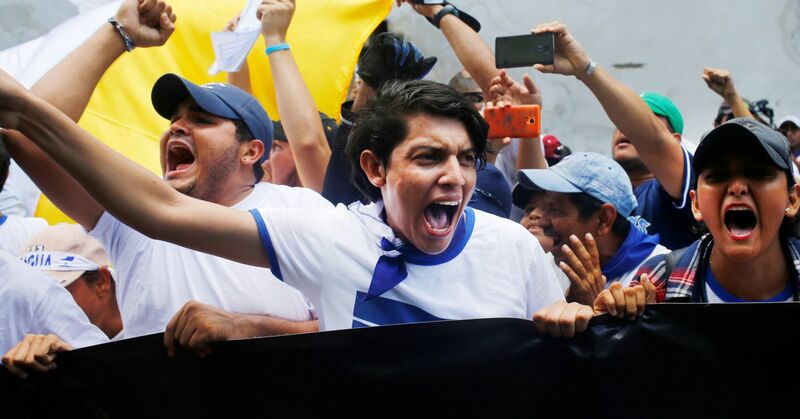 For most candidates vying for seats in this year’s midterms, Nicaragua hasn’t been a talking point on the standard stump speech. That could change quickly. 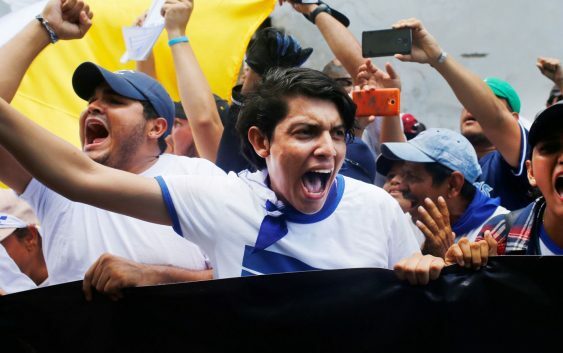 Bradley Honan, a political strategist who worked for Bill and Hillary Clinton, Mike Bloomberg, Tony Blair and others, thinks that Nicaragua is the “October Surprise” that both parties should be preparing to deal with. “The potential for a widespread Nicaraguan refugee crisis on our southern border is the biggest political story that candidates from both political parties need to be paying attention to,” said Honan. The last time Nicaragua entered a period of sustained armed conflict was in the 1980s, when over 250,000 Nicaraguans sought asylum in the United States. A generation later, the population of Nicaragua is now more than twice what it was then and already thousands of Nicaraguans have fled to neighboring countries; it is just a matter of time some begin making their way to the U.S. border. A massive influx of Nicaraguans would dwarf the current numbers of migrants from Honduras, El Salvador and Guatemala, who have sought to enter the United States over the last decade in an effort to escape the escalation in gang and cartel violence. Some political insiders have privately mused that the “wave” that pundits will be discussing in late October isn’t necessarily a blue one or a red one; the wave on everyone’s mind will be a Nicaraguan one, referring to the waves of war refugees that might come crashing down on America’s southern shores. Politically, a Nicaraguan surge of asylum seekers at the southern border could break one of two ways. Democrats claimed a victory of sorts when Trump was forced to backtrack on his policy of separating children from their parents at the border, and they might hope to see Trump fumble the ball once again, motivating turnout from the Democratic base. But a case could also be made that Trump might be able to spin an out-of-control crisis at the southern U.S. border as an “I told ya so” moment. Trump might use a Nicaraguan immigration crisis as leverage to get his “Border Wall” funded in Congress, enabling him to take a victory lap on a major campaign promise, thereby benefiting him and his allies politically. It’s entirely possible that the violence in Nicaragua doesn’t escalate into a full blown, country-wide civil war, and that cooler heads eventually prevail. Nicaragua is a country whose own protracted internal conflict in the 1980s is still vivid memory among many survivors on both sides of that war – and taking up arms again is a decision that no one will likely make in haste. Even if the country doesn’t unravel into all-out armed conflict, the breakdown of law and order could still lead to a significant migrant problem for the U.S. The situation in Nicaragua might seem like an international story issue a long way from the purplish suburban toss-up districts across America, but it could easily become the biggest wild card in this November’s midterms. Arick Wierson is a six-time Emmy Award-winning television executive and former deputy commissioner under New York City Mayor Michael Bloomberg. He currently works as a political and branding consultant to clients in the United States, Africa and Latin America. He worked for the Nicaraguan Ministry of Foreign Relations during the Chamorro government in the early 1990s. You can follow him on twitter @ArickWierson . Javier Arguello Lacayo is a Nicaraguan political analyst and former executive director of the Nicaraguan Foundation for Socio-Economic Development (FUNIDES). He currently serves as the Executive Director at COGx, a research and development firm in applied cognitive science. You can follow him on twitter @Javiercogx .